Gathering Inkspiration: Online Extravaganza - November 23-28!!!! The Online Extravaganza Sale begins this Friday, November 23!!!!! The Online Extravaganza will run for six days. During this time, we’ll be throwing three, 48-hour sales featuring a selection of products from the 2018–2019 annual catalog—all at 10% off! Each 48-hour sale will feature two product categories (e.g., paper, stamps, ink, etc.). When one sale ends, the next sale begins; this cycle will continue until Online Extravaganza is over. By the end, nearly every item from the annual catalog will have been sale! Start planning and shopping now, and get your lists ready!!! You can also visit my online store. ***Promotion includes items from the 2018–2019 annual catalog only. ***Discounted pricing for items featured in this promotion will be available only during each allotted 48-hour sales period. (E.g., discounted cardstock will available only during Paper & Embellishments sale; discounted ink pads will be available only during Tools & Ink sale.) No exceptions. REMEMBER.... if you put in an online order ($30 minimum) by midnight on Wednesday, November 28, I'll send you the projects I demo on this Friday's Facebook Live video for FREE!! 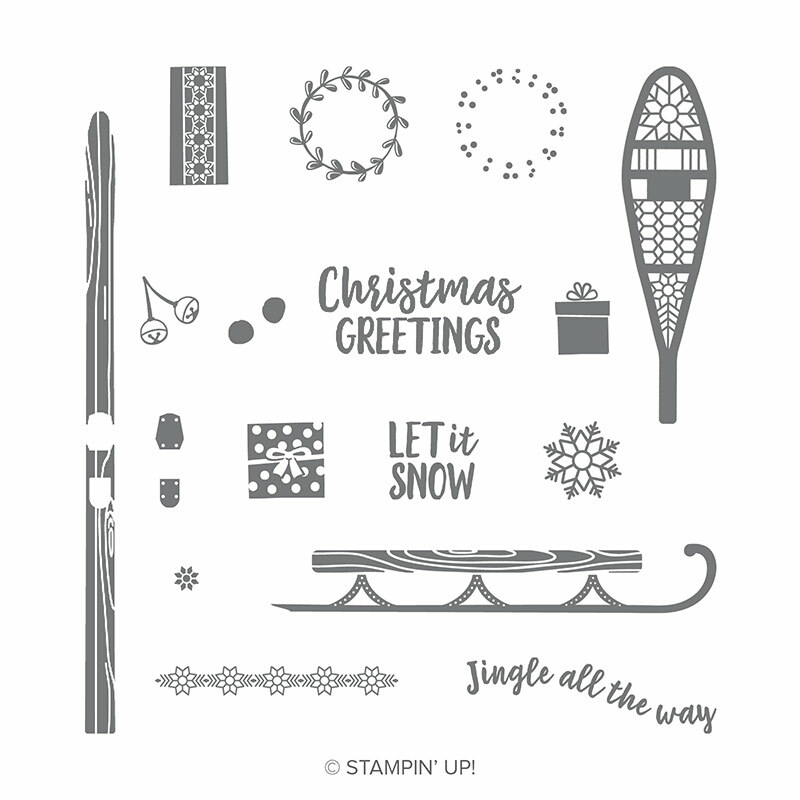 Plus.... your name is entered into the drawing to win the ALPINE ADVENTURE STAMP SET!!!!! But, your order MUST be in by next Wednesday, November 28 at midnight! !